Indecision is seldom listed as a quality. Hesitation is rarely valued. People in general, employers and voters in particular, do not abide by indecisiveness and look for and place their trust in determined candidates and contenders; strong characters with firm ideas. Potential or celebrated leaders. Leadership. Most careers and certainly all political careers are based on certainty. Politicians worldwide choose a side, advocate their viewpoint and while their acolytes might demand transparency, authenticity and openness, they will not stand for doubt. And sometimes rightly so. Contingency plans require preparation and, in its eventual action phase, a resolute response. After all, when an emergency occurs, when the enemy attacks, there is little time for debate. Developing a contingency plan however cannot take place in a pre-fabricated certainty-infused environment. What is needed is debate, options, alternatives, questioning. In short, we need doubt. Politically, doubt is a no-no. Yet its counterpart, certainty, however commendable at times, is also limiting.Certainty is a one way street. My way or no way. At its worst, it is a cul de sac. Within the religious debate, doubt, like belief, takes up a central place. Doubt requires thoughtfulness. It leads us away from doctrine and theology and makes our religious experience our own. A personal experience, embedded in a social, theological and ecclesiastic community. Doubt is the initiator, pushing us to make the leap. Doubt makes us human in the face of our Gods, it is the humanizing factor in the search for our convictions, widens our horizon and softens our edges. In this perspective, Aristotle celebrated the virtue of mildness, the settling down and quieting of anger, arguing that the moral good always lies between two extremes. That being said, Aristotle was tutor to Alexander the Great. Modesty at the price of slaughter. Doubt and mildness , precursors of moderation? The prophetic tradition is seldom radical. Its interpretation however often is. Moderation on the other hand, as the opposite of radicalism, remains a vague concept. The risk of moderation is its demise of a desired future, replacing all possible futures with a spiritless nihilism. And nihilism, child of anarchy, is an easy option, preferable to both lawlessness and limitless freedom. With its taste for more, freedom is intoxicating. A mere sample will haunt the taste buds, yet offered in free flow quantities, it is for many difficult to handle. Either a wild card, an acquired taste, a fought for principle, freedom is a skill, a power one needs to learn to wield. The limiting of freedom is as problematic and so the question needs to be put, do those who wish to set boundaries to our liberties do so in order to reject loathsome ideas or do they act out of apprehension, the fear of being wrong? Doubts, certainties, moderation and freedom; interlinked notions, healthily questioned, resolved and explained through knowledge and understanding. 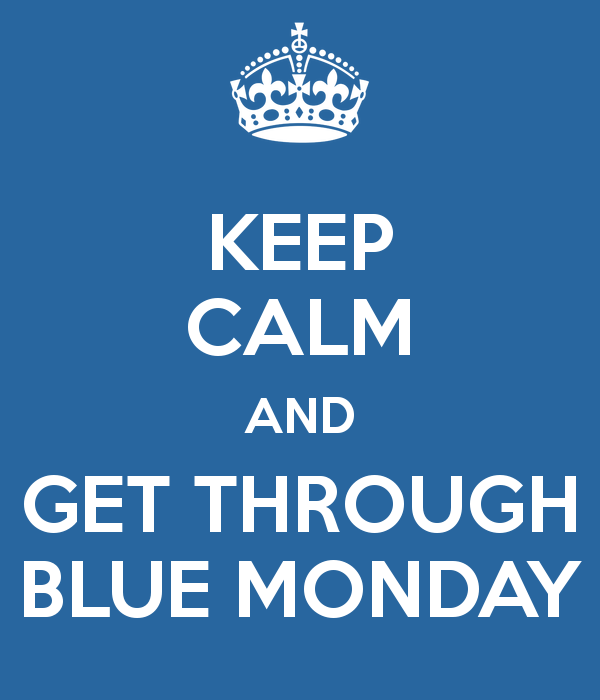 Today is Blue Monday, supposedly the most depressing day of the year. A doubtful thesis we will take with moderation. Waiting for tomorrow. Posted on 19 January 2015 by MrsCalvo	This entry was posted in Popular Culture and Entertainment and tagged Aristotle, Blue Monday, doubt, freedom, mildness, moderation. Bookmark the permalink.